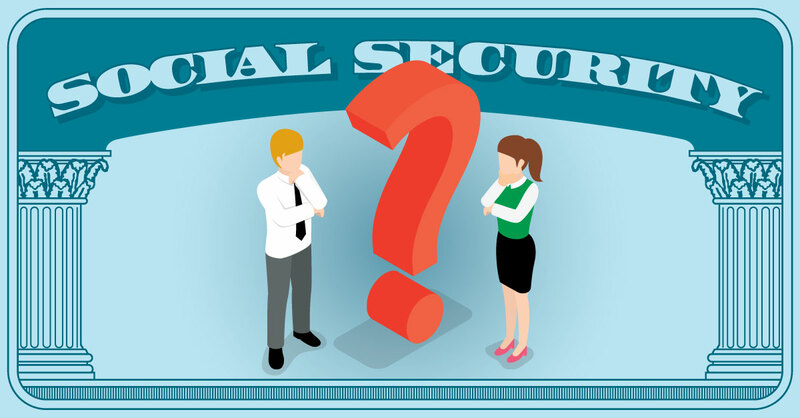 Social Security Timing® uniquely facilitates answering this common client question. Using this tool, you can show your clients how the timing of their Social Security claiming decision can cost or save them tens of thousands of dollars. Use the personalized reports from the software to expertly explain the complexities and nuances of Social Security. What Social Security topics should you be talking about with your clients? The average indexed monthly earnings (AIME). To find the AIME, divide the highest 35 adjusted years by 420 (35 years of 12 months). Actuarial reductions or delayed retirement credits. Clients who claim at full retirement age receive their primary insurance amount from step two. Clients who claim prior for FRA will receive a reduced benefit and clients who delay past FRA will receive an 8% per year increase. Since full retirement age is increasing, these calculations are not as simple as they used to be, but the net impact of delay is very similar for a client with a FRA of 66. Delay from 62 to 70 is a 76 percent increase, while a client with FRA of 67 would receive a 77 percent increase for delay from 62 to 70. In 1983 new amendments phased in a gradual increase for the age in which one could collect their full Social Security benefit. The retirement age increased from 65 years to 67 over a 22-year period, with an 11-year hiatus at which the retirement age remained at 66. Social Security benefits for one person have always been designed to be actuarially fair. The increase in the full retirement age was really about recognizing the increase in life expectancy and creating a benefit reduction across the board for everybody based on that new life expectancy. You have to be married at least one year. You have to be claiming under someone who has already filed. You generally cannot qualify for a benefit of your own that's greater than or equal to one half of the primary worker’s primary insurance amount (PIA). The benefit amount is up to 50 percent of your spouse's PIA. The eight percent delayed retirement credit does not carry over for spousal benefits. For people who become a widow(er) prior to age 70, there are a variety of claiming strategies that should be considered, but when you think about planning for married couples, at the first death, the small benefit goes away, and the larger benefit continues. If I delayed my own benefit and die, and my benefit (including the delayed retirement credits) was larger than my spouse's retirement benefit, my spouse is going to get my benefit (including those delayed retirement credits). That's a really big consideration for survivor benefits. Essentially, delaying the higher wage earners benefit is not just about the life expectancy of the higher wage earner, but instead about the joint life expectancy of both members of the couple. The Bi-partisan Budget Act basically eliminated file-and-suspend technique for married couples. No one else can get a check while a benefit is in suspense. Previously, a spouse could still be collecting while the benefit was suspended. The Bi-partisan Budget Act also phased out the restricted application for people born after January 1, 1954. This year (2019) is really the last year people who are turning full retirement age become eligible for a restricted application. For the next four years we'll still see people who have not yet elected Social Security, and would be eligible for a restricted application, but don't know about it. So, advisors still need to pay attention to the restricted application for spousal benefits. The restricted application allows filing for only the spousal benefit, while allowing the retirement benefit to continue to get delayed retirement credits. Ultimately, for advisors who are working with clients in retirement transition and beyond, making Social Security planning a part of the process is going to be critical for now and for as long as the system is around. You can use Social Security Timing to save time and effort. The software is now easier to use than ever. We've deeply integrated the updated Social Security Timing into Covisum's portal. You can help optimize your clients' Social Security claiming strategy and increase their retirement value by up to $100,000. Accessing the software in the portal allows for deep integration with Covisum's Income InSight™ and SmartRisk® software. Watch the demo now.